Well, the results are in. Overall, the June 2017 Reading Comprehension section proved to follow the general theme found elsewhere on the June 2017 test: the section was fairly average. While the Psychology passage in Passage 2 was challenging, the remaining three passages were all moderate to easy. There were no big surprises with passage positioning, as the easiest two passages were located in Passage 1 and Passage 3, so most test takers probably found enough time to reach both of them. There were seven questions in each of Passage 1, 2, and 4, while Passage 3 only had 6, for a total of 27 questions. The difficulty and types of questions were also fairly balanced throughout although again, Passage 2 seemed to have a bit more of the difficult questions. One interesting anomaly was that every single passage included a Parallel Reasoning question. That equals the four total Parallel questions found on the two Logical Reasoning sections. The section began with a traditional Diversity passage. Here we had a passage that dealt with Music as its subject matter, specifically jazz music (long an LSAT favorite) and Wynton Marsalis. Many students may have found the topic of this passage reminiscent of the Miles Davis passage from October 1996. We once again have an African American jazz trumpeter who the author believes is being unfairly criticized. The author praised Wynton Marsalis, describing him as “enjoying virtually unqualified admiration as a musician and unsurpassed influence as the music’s leading promoter and definer.” However, Marsalis has advocated the importance of jazz history throughout his career, and this advocacy has come under fire from critics. The music industry has recently focused on reissuing old recordings at the expense of new musicians. Many critics feel Marsalis is to blame for this. However, the author believed these results were merely the unintended consequences of Marsalis’s emphasis on the past. By building up an appreciation for old jazz recordings, Marsalis gave record companies a profit motive to focus on them as opposed to promoting new artists. Passage 2, on the other hand, was probably the most difficult passage on this test. This was a Science passage specifically dealing with the psychology of how people think about their own thoughts. This was a very abstract passage, and this abstraction increased the difficulty of following the author’s argument markedly. The structure of the argument followed the classic “some people argue….” template often found in Logical Reasoning stimuli. The passage began by telling us what “common sense suggests…” (the commonly held belief that is being challenged) and then countered that suggestion by telling us what “some psychologists argue…”. The psychologists essentially believe that we do infer our own thoughts (as opposed to knowing them directly) and that our knowledge of these thoughts is fallible. In other words, even though some people think we know what we know, we don’t really know what we know. That’s tricky. On top of that, this claim was presented in the final sentence of the first paragraph with another use of a double negative by saying it is “wrong to think of ourselves as having noninferential and infallible access to our own thoughts.” So, our access is inferential and fallible. Once again, this double negative added another layer to the challenge of interpretation. Needless to say, keeping up with this abstract passage proved quite challenging. In addition, at least three of the seven questions following passage 2 were difficult. The positioning of this passage is also noteworthy. Most takers probably attacked this passage second, in the order given. But due to its difficulty, Passage 2 was far more likely than the other passages to take longer than the average 8:45, creating a time crunch that can affect the apparent difficulty of subsequent passages. Strategically, this would have been an ideal passage to put off until later in the section. Passage 3 was perhaps the easiest of the four passages. This was another Science passage (really more of a pseudoscience passage) and goes to show that not all Science passages are difficult. The structure of the passage was relatively straightforward and easy to follow. The author began by describing the practice of dowsing in the first paragraph. The second paragraph outlined the position of the skeptics of dowsing. The third paragraph outlined the proponents’ position. In the final paragraph, the author essentially agreed with the proponents (a surprising position, given the subject matter) and cited a recent study to support that position. Aside from the final question, most of the questions on this passage were fairly easy. Unfortunately, this passage was the only one of the four passages that had six, not seven, questions. One potential pitfall was the topic of dowsing itself. The reader is likely to become fairly skeptical of the practice of dowsing after reading the description in the first paragraph and the criticism of it in the second paragraph. This skepticism can color one’s analysis of the passage and cloud the fact that the author takes the unexpected pro-dowsing position at the end of the passage. Finally, Passage 4 gave us a Law passage in the Comparative Reading format. This was probably the second most difficult passage on the section. Author A introduced the idea of independent research among trial judges to help make decisions. While Author A conceded that there are certainly concerns with the practice, independent research should not be strictly prohibited. The author answered the two concerns raised in the first paragraph in the second and third paragraphs. First, the author pointed out some shortcomings of the adversarial system that could be partially overcome through the use of independent research. Also, the structure of the trial helps guide the judge’s research, limiting outlandish results. So Author A was generally pro-independent research for trial judges under certain circumstances. Author B differed from Author A by addressing appellate courts’ use of independent research, as opposed to trial courts. The author seemed relatively indifferent to what trial judges do. Author B also took a much more negative view of independent research and believes appellate courts should not use it to render decisions. Author B focused on the specific role of the appellate court in the court system as the main reasons for them to avoid independent research. So Author B was generally anti-independent research for appellate judges. While the topic of the passage was fairly relatable and not too challenging conceptually, the questions were more difficult on this passage than either Passage 1 or Passage 3 (albeit easier than Passage 2). The first two questions that followed the passage were arguably the two most difficult. This was primarily due to the language of the answer choices. The final five questions, on the other hand, were reasonable for the most part. Yet, considering this was the final passage of the section, many test takers may have found their time winding down and so these final questions may have felt much more difficult on test day. Let us know what you think in the Comments below, especially if you had a different experience with any of these passages. 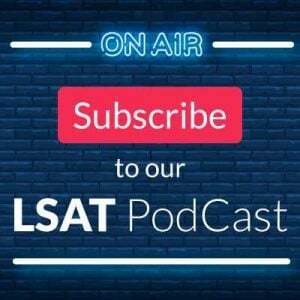 Feel free to check out the ongoing discussion of the June 2017 LSAT over at our LSAT Forum as well. I find this analysis quite baffling. 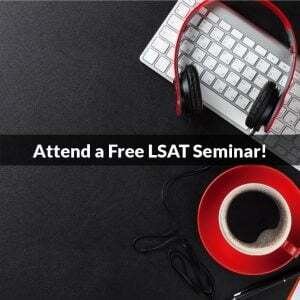 Many test takers who wrote about their experiences with the June LSAT (e.g. 7Sage, TLS, lawschooli.com) felt that this RC section was one of the most difficult ones they had ever encountered. [My personal experience was not that way, but there appeared to be many, many who felt that way.] Perhaps LSAT instructors, who are all 99 percentile scorers, are not the best people to evaluate relative difficulty of LSAT sections! Thanks for the comment! You have to remember that we get to work with an extremely broad array of students, and as such we pull from the entire cross-section. Yes, there were many students who felt this section was super hard but there were also many students who felt this wasn’t as hard as others were claiming. I personally feel this is a section where individual strengths, weaknesses, and preferences are magnified a bit, and my personal call was that this was above average in difficulty (not average). Second, it’s always tough to make a judgment call based on the self-selecting samples on discussion boards. This is why we pulled info from a broader group, to get the best possible picture. Next, no matter how hard this RC really was, this LSAT as a whole is unquestionably on the easier side logically, in particular at the top levels, as evidenced by the -9 scale. that also factored into our evaluation of this, because even when seen as a harder section, this RC wasn’t enough to pull the scale into the middle. 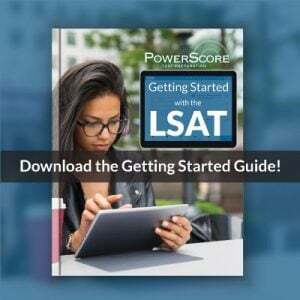 Last, and this is what I find very interesting about any given LSAT, how it strikes each person is different, and individuals sitting next to each other can walk out with entirely different perceptions. Thus, when evaluating the collective, you will hear a lot of different voices (and we know some tend to speak louder than others), but even your view wasn’t that this RC was the hardest ever. Anyway, those are some thoughts that might help give context here. Thanks! From my initial reading of the post, I hadn’t gleaned that Eric’s post-mortem was anything more than his personal take on the section. I hadn’t realized that it distilled the reactions of a large sampling of students. [Perhaps my reading comprehension needs some work!] I stand corrected. But with the recognition that the plural of anecdote is not data, I would add that I just saw someone who scored a 170 on the June LSAT, but was aiming for somewhat higher, explain that she simply did not expect having such a hard RC section.